Did you know a dog’s eye can develop more than just cataracs of the eye? Eye conditions have a tendency to worsen progressively, so it is important to recognize and discuss any concerns that you might have about your dog’s eyes with your veterinarian as quickly as possible. A dog has three eyelids. Two are readily visible and an extra one, called the third eyelid, normally hides from view just below the inner corner of the eye. The third eyelid is home to the tear producing gland that is normally hidden. However, some dogs have a congenital weakness of the ligaments that hold it in place. When the ligaments are weakened, the gland pops out of its normal location and looks much like a “cherry” at the inner corner of the eye. Due to it being a condition is due to genetics, both eyes are often affected over time. Treatment of cherry eye is simple— a veterinarian will perform simple surgery to attach the gland back to normal position. The surface of the eye is covered by the cornea, which is a clear, skin-like tissue. Much like skin, the cornea can be injured. Lacerations (cuts), punctures, and ulcers are all quite common in dogs. Trauma to the eye is often to blame, like when a dog runs through tall grass and is poked in the eye. In other cases, other problems such as poor tear production or abnormal anatomy can put a dog at risk for corneal damage. A dog with a corneal wound will rub the affected eye and squint due to pain. The eye may also appear red and have excessive drainage. Treatment involves prevention or treatment of infections with antibiotic eye drops or ointments, managing pain, or simply giving the cornea time to heal. In severe cases of corneal wounds, surgery or other treatments may be needed to protect or repair the cornea. When a dog develops a disease called keratoconjunctivitis sicca (KCS) or dry eye, the tear glands produce fewer tears than what is normal. Tears are important because they remove potentially damaging material from the surface of the eye and nourish corneal tissues. Believe it or not, a lack of tears can cause bigger problems, such as corneal ulcers, chronic drainage of mucus from the eyes, and pain. Treatment in mild cases of KCS can often be managed with frequent application of an artificial tear solution, but medications that stimulate tear production (i.e. cyclosporine) are usually necessary. In severe cases, one option is to perform a surgery that redirects a duct carrying saliva to moisten the eye. The conjunctiva are the mucus membranes that cover the inside of a dog’s eyelids, both sides of the third eyelid and some parts of the eyeball itself. Conjunctivitis and Pink Eye are interchangeable terms that simply mean inflammation of the conjunctiva. The symptoms of conjunctivitis include reddened and swollen conjunctiva, eye drainage, and discomfort. Conjunctivitis is more of a symptom of a disease, not a disease itself. Many conditions in dogs cause conjunctivitis, including physical irritation (like dust or inward growing eyelashes), infections (bacterial and viral) and allergic reactions. Treatment depends on the underlying cause. Sterile saline eye washes can be used to flush irritants from the eye. Bacterial eye infections are usually resolved when treated with the appropriate prescribed antibiotic eye drop or ointment. The chances of catching pink eye from your dog is very low, but it makes perfect sense to wash your hands thorough after applying your dog’s eye medications. Make an appointment with your vet if your dog’s conjunctivitis worsens or fails to resolve over the course of a day or two. Production and drainage of fluid is balanced with precision to maintain constant pressure in the eye. Glaucoma occurs when this balance is disrupted and pressure increases. Symptoms include pain, eye redness, increased tear production, a visible third eyelid, corneal cloudiness, dilated pupils, and in advanced cases, an enlarged eye. Treatment may involve a combination of topical or oral medications that decrease inflammation, absorb fluid from the eye, lower fluid production within the eye and promote drainage of fluid from the eye. In some cases, surgery is also a considerable option. Do not delay in contacting your veterinarian if you are worried your dog may have glaucoma, as it can result in blindness. Eyelids that roll inwards is what is called entropion. Entropion causes hair to rub on the surface of the eye, resulting in pain, increased tear production, and eventually damage to the cornea. Entropion can develop as a result of chronic squinting due to discomfort or eyelid scarring. It can also be a congenital problem. A veterinarian can temporarily suture the eyelids to a more normal position (eyelid tacking) if entropion has occurred in result of a recoverable condition. Otherwise, there is surgery available to permanently fix the eyelid. Progressive retinal atrophy (PRA) can be hard to spot. It is a condition that causes dogs to gradually become blind over time while their eyes remain to appear normal. The first noticeable symptom of PRA is with difficulty seeing at night. 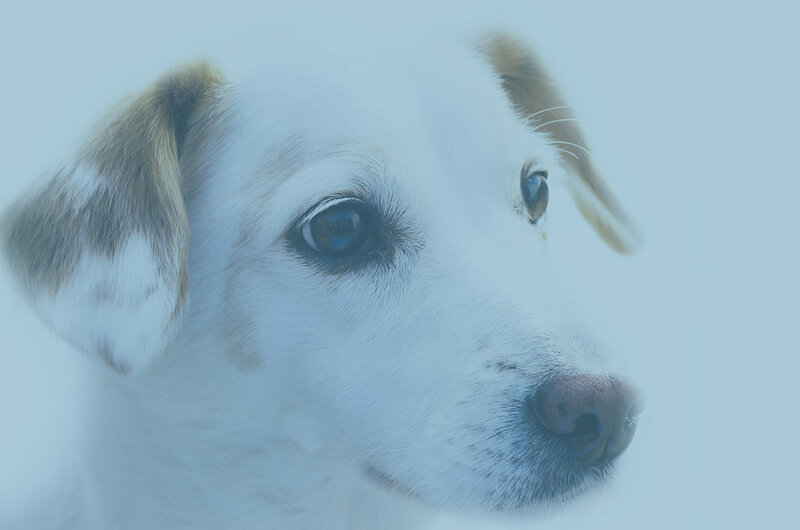 Unfortunately, no effective treatment exists for PRA, but the condition is painless and dogs generally adapt extremely well to becoming blind. Cataracts block light from reaching the back of the eye, resulting in poor vision or blindness, depending on severity. Cataracts are often confused with lenticular sclerosis—a normal change for aging dogs that affects a dog’s lenses. Both conditions give the black center of the eye (pupils) a white, grey, or milky appearance. However, one can tell with a standard eye exam performed by your veterinarian. Cataract surgery is available when a dog’s vision is severely compromised, otherwise most dogs adapt very well to ailing vision.